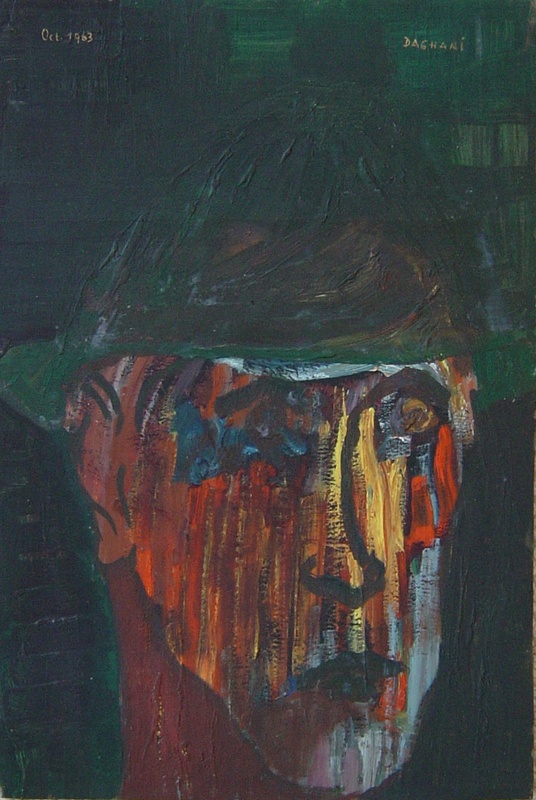 Oil on paper, signed, dated October 1963. Man in hat – probable. self-portrait.